Man driving car recorded from outside the window. 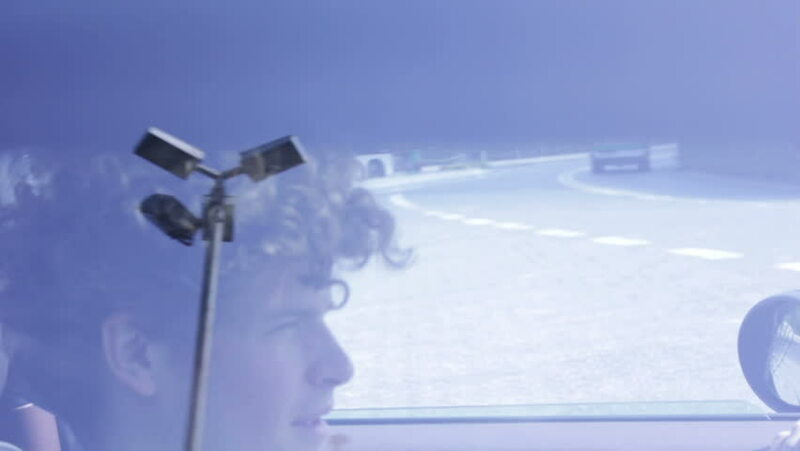 Young man driving in his car. He shot was taken by a camera stuck outside to the window. Shot through the glass of the window. 4k00:15CAPE CANAVERAL, FL MARCH 1, 2019 - SpaceX Falcon 9 rocket and Crew Dragon capsule sit on the launch pad before the Crew Dragon’s first mission from NASA’s pad 39A to the ISS. Close-up. hd00:10View of Bangkok cities skylines from Airasia's Window. AirAsia is a Malaysian low-cost airline on Kuala Lumpur, Malaysia. 4k00:05Fire Departments extinguish a house fire.